Electric Race News: What's the business model for manufacturing high end electric superbikes competitive with the gas bikes? What's the business model for manufacturing high end electric superbikes competitive with the gas bikes? In the gas motorcycle market one can purchase street legal versions of bikes that are almost what the pro motorcycle racers ride on the track. I haven't checked to see what the difference is, but if you want to spend enough money a fully amped up Honda 600cc superbike can be yours. In the electric motorcycle world one cannot quite do this, at least not from the major manufacturers in this field. The Zero S and Empulse R exist primarily to be sold to regular riders who want an electric motorcycle for commuting around town. Right? Why aren't Zero and Brammo selling a proper race bike that can play with and beat the gas superbikes? The potential for eRoadRacing to grow is in part limited by the limited number of high end superbikes existing in the world. And, more importantly, the willingness of the teams who do own those high end superbikes to bring them to eRoadRacing events to race. Lightning Motorcycles is selling replicas of their race bike. However the production volume is low, and what I'm thinking of here is the higher volume manufacturers. Mission Motorcycles is promising deliveries of their race bike replica, but it's also at relatively low volume. What's the size of the prospective market? Who is the prospective market? One part of the prospective market is the people who buy top gas superbikes, but want to go electric. Another part is those who are actually taking bikes to races, either in club racing or professional racing. And of course a part of that market is the eRoadRacing series. In 2014 the eRoadRacing will be a proper World Cup series with racers flying between continents to take part. And the bikes are supposed to be proper electric superbikes. Richard Hatfield, CEO of Lightning Motorcycles, did tell me one time there are plenty of people who've bought a Tesla Model S, whose garage also contains high end gas superbikes, and who would want a high end electric superbike, and who have the personal budget to pay for it. I've never lived the lifestyle where $100,000 is a reasonable price to pay for a car, but I do understand there are people who do think so. I can imagine, then, that what Hatfield said is correct. That's one part of the market - ultra rich who feel the need for high powered toys to ride or drive. Some of them may also be active in club racing, and want an electric club racing bike. 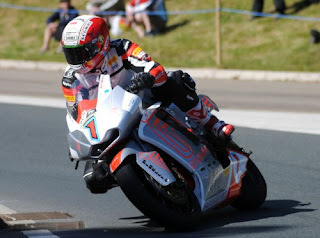 Now, how about proper racing either against gas bikes or in the electric motorcycle series, the eRoadRacing World Cup? Lightning Motorcycles did prove recently it's possible to enter an electric motorcycle in a race dominated by gas bikes, and to win decisively. Namely, the 2013 Pikes Peak International Hill Climb race where they won outright by over 20 seconds. 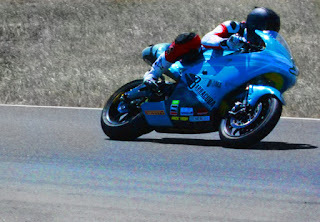 Maybe an electric motorcycle team could get a lot of racing action without entering the eRoadRacing series? Just don't expect electric motorcycles anytime soon in events like the AMA Superbike racing or in the MotoGP. Until the high end electric superbikes can complete a 22+ lap race with enough juice to be as racing competitive at the end of the race as they were at the start, the AMA will not let the electrics anywhere near the starting line. That's going to require a 30+ kilowatt-hour pack on the bike plus motor/controller systems that can last that long a race without overheating. What about the eRoadRacing World Cup starting in 2014? What I know is it's slated to be an International series, with the teams following a schedule almost identical to MotoGP, racing as a side event within MotoGP events. At least initially. That means teams with enough budget to fly back and forth all over the place. It strikes me to ask, and I don't know the answer -- where is the money going to come from? Where will the bikes come from? Currently in the entire world there are existing a small handful of high end electric superbikes that are competitive with the 600cc gas bikes. 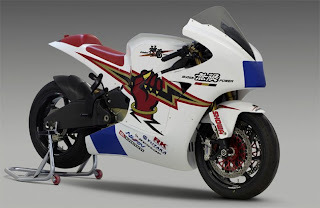 These are approximately: 2 Brammo Empulse RR's, 2-3-4 Lightning Superbikes, 2 MotoCzysz e1pc 2013's, 2 Meunch bikes, 1-2 Mugen Shinden bikes, one Zongshen AC bike, and an unknown number of the Mission R's. How is eRoadRacing planning to fill out a grid? Who will be the manufacturers of the bikes for their 2014 grid? Who is going to provide the sponsorship dollars to pay for it all? Where will the audience come from to make the sponsors willing to pay? I dunno. What I do know is, at the moment, Brammo and Zero are the volume manufacturers of electric motorcycles, and their production bikes are aimed squarely at the typical commuter bike market. They have different takes on what that means, but that's where they're focused.